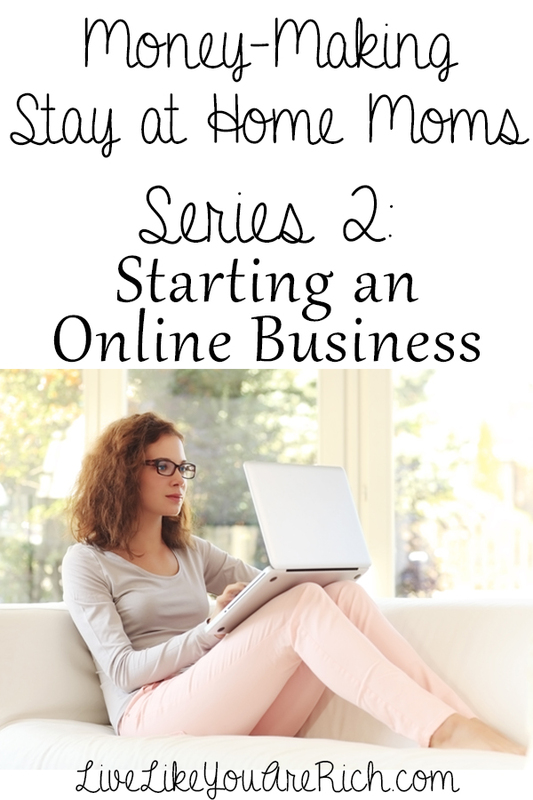 Welcome to Money-Making Stay at Home Moms Series 2: How to Make Money From Home by Starting an Online Business. There are 38+ interviews in this series (see links below interview). A. When I was pregnant with my oldest daughter in 1987, I was also finishing my bachelor’s degree. As the pregnancy progressed, my long-held idea of getting a master’s degree and working full-time came into conflict with the idea that I couldn’t possibly entrust the care of my child — MY child — to anyone else. That inspired me (even though I had sworn from the time I was 13 that I would NEVER stay home with kids) to work from home. A. I developed skills that were in demand. At that time desktop publishing (printing reports, magazines, etc. using special software) was in demand. I began advertising (in a local newspaper classified section) offering lower rates than most companies. The lower rate was something of an exchange for the then very unconventional nature of a home business. Once I produced superior work, I had all the work I could do merely by word of mouth. This morphed into an online homeschool supply company in 1994 (which I sold in 1997) and then to professional blogging and WordPress setup and custom work for clients. A. Find something you genuinely like to do — and perhaps would do just for fun — and find a way to make money at it. Q. How many hours does this position require? Is it flexible? Is it consistent? A. It is completely flexible. I try to be fairly regular on some blogs and to be reasonably available to my clients. A. I work on my own blogs while I homeschool my kids in the mornings. There’s a lot of downtime between questions and redirection. So the homeschool room is in my office and we work together on our own things. I stop when they need me. Most of the work for my clients is at night after the younger kids are in bed. A. Be reasonable about your real skill set. Be willing to learn new skills and to adapt. Be disciplined in your approach. Don’t be afraid to charge for your talents. There are a ton of things you can do online. If you truly enjoy doing something like graphic arts, writing, web design, editing, etc. begin advertising/marketing yourself on classifieds, job sites, by word of mouth, etc. Charging less than the competition will usually help get you started. Charge less but deliver quality. That will help you develop a good clientele and get you referrals. A. I have a bachelor’s degree in applied business, which helps with the accounting and business side, but the actual work I do wasn’t even an invented technology when I was in college. I have taught myself by reading lots of books and sites and reverse engineering code, etc. If you are interested in starting an online business, start studying and learning all you can about it your niche. There is a wealth of information and training available online or in other forms. You don’t have to have an official education in many cases to begin making money online. Q. 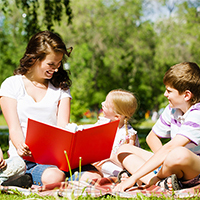 Does the income help a little, a good amount, or is it the main source of your family’s income? A. My husband works full time as an engineer. There have been times when my income was primary (such as during business startups, etc.) but most of the time it has been supplemental. Since we don’t generally need my income, it has given me the freedom to work when I want or when we have a particular financial goal that more income will expedite. If you have any questions please type them below. I really enjoyed your posts on making money from home. At present, I am at home helping care for one of my grandchildren and due to some health issues I have developed over the years. My husband has retired, so we could certainly use some supplemental income. I am blessed with a creative flair and I am attempting to sell my crafts on Etsy. I also set up a booth at a local church spring fling a few weeks ago. Neither of these efforts have been very fruitful. After reading through some of your series of working from home ideas,I feel encouraged again. Thank you for posting this information. Sherri- You are so welcome. Please stay tuned more interviews are coming and hopefully something will be what you desire to do from home! I am very interested in staying home and making money! I am a great cook. All my friend think I should post some of my recipes on line. I was wondering if or how to make money at it. If you have any ideas let me know! Elizabeth- I will be covering two posts in the next two weeks that may just be perfect for you. One is how to make money by blogging online. There are many recipe bloggers that make great money doing it. The other post is how to publish a paperback or hardback book. You could create a cookbook and sell it as well. A couple of other ideas are catering, selling specific food, or starting a service based business where you cook and bring meals to someone who can’t make meals themselves. Do a bit of brainstorming, check back in the next two weeks for those upcoming posts and I hope you find something you’ll enjoy doing related to food and making money :)! WHAT ABOUT BUISNESS LICENCE, AT WHAT STAGE OF THIS PROSSES DID YOU APPLY. WHAT ABOUT BONDING AND INSURANCE, WAS THAT NEEDED? I’d recommend becoming a business (registering) with you state as soon as you know you are serious about making a profit. I really don’t want to give business/tax/insurance advice because each state varies either slightly or significantly on business law, insurance requirements etc. I just have to say check with your accountant, insurance agent, etc. for specific questions on your state guidelines. My name is Eileen. I would like to start a women’s group on morals and values. I want to help little girls to understand the real meaning of being a lady and helping them to develop self respect. How to set a table, make a bed, knit crochet , sew, cook, bake and show their mothers that these tasks are important to know. Not to take care of a man ,but to be a virtuous women. Please help. I think this is very important to share. How do you blog making money? I don’t need to make a lot. Eileen- What a great idea! That sounds like it could be a helpful thing to do! Here is a post on how to make money by blogging. I hope it helps you in your endeavors!